Oh, let me tell you that we love to make all our gifts. To me, a handmade gift comes from the heart. And anyone can do it. This year is no different than all the previous. We have been busy, Henry in his work shop making things with wood of course and me in my studio sewing up a storm. But we do combine our creativity with so much more. This year we both made soaps, bath salts, body creams, and chocolate. 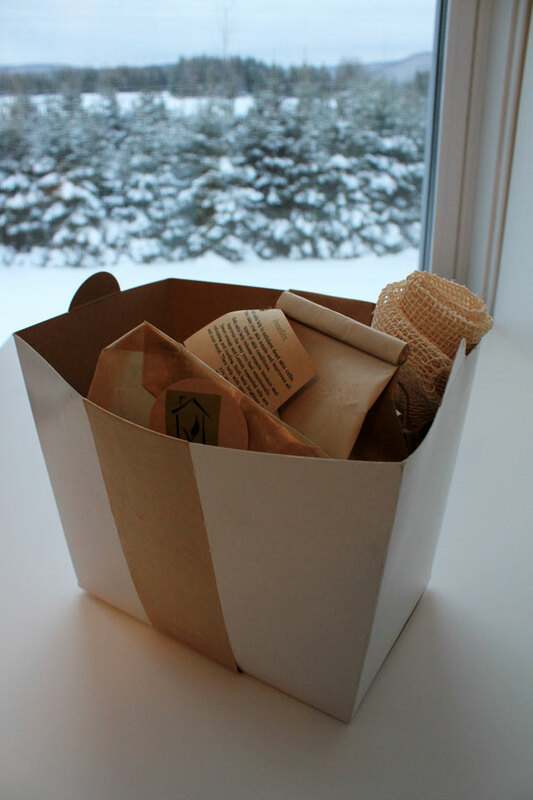 These gift sets are for our good friends…..
Bath salts to help relax and rejuvenate after the Holidays. These bath salts are quick and easy to make. 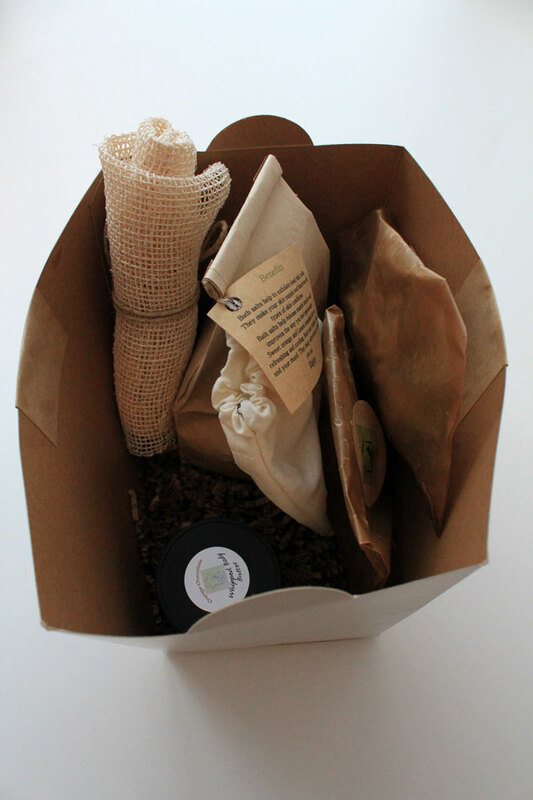 Combine equal portions Sea salt and Epsom salt together, then added dried herbs and flowers. Be creative, there are so many things you can use here. We added some essential oils and mixed everything together. Note that Essential oils have many different benefits, read up on them before you mix them together. 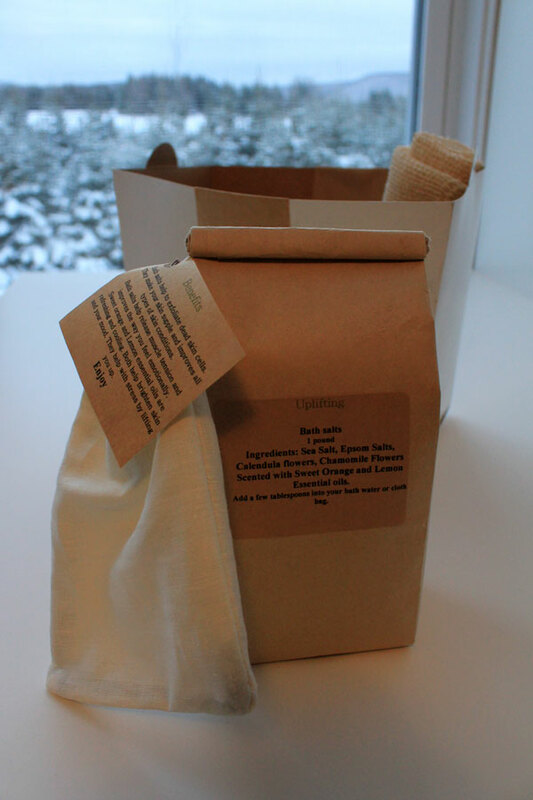 I made some Hemp/cotton muslin bags with a draw string to hold the bath salts. This is much easier then I thought it would be. After looking at many different recipes, we decided to go with equal parts of Coconut oil and Cocoa butter. A few drops of Vitamin E and scented this with Sweet Orange essential oil. It’s best to whip this up with an electric mixer until thick, like icing. Ours ending up smelling just like the Milk Chocolate Oranges you can buy this time of year. 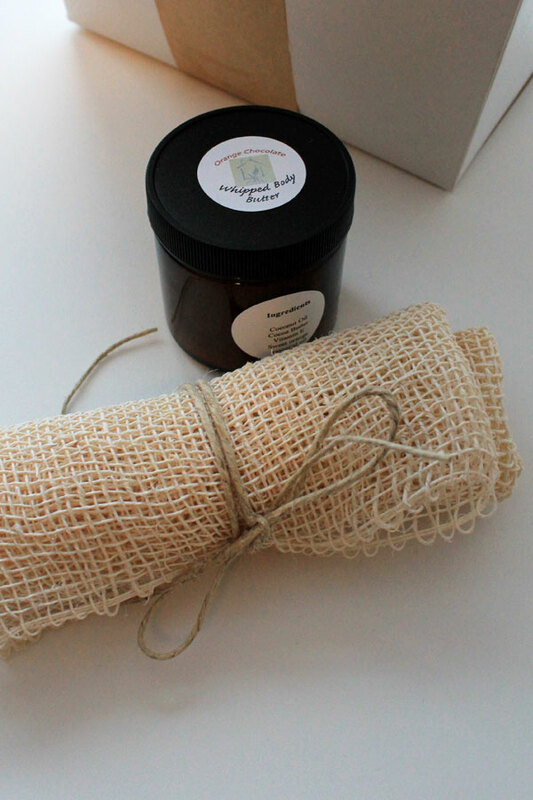 We added a natural wash cloth Not made by us….. this wash cloth is made with 100% Agave fiber and is a nice exfoliant. These are made in Mexico. The best part of this gift set is the Chocolate. 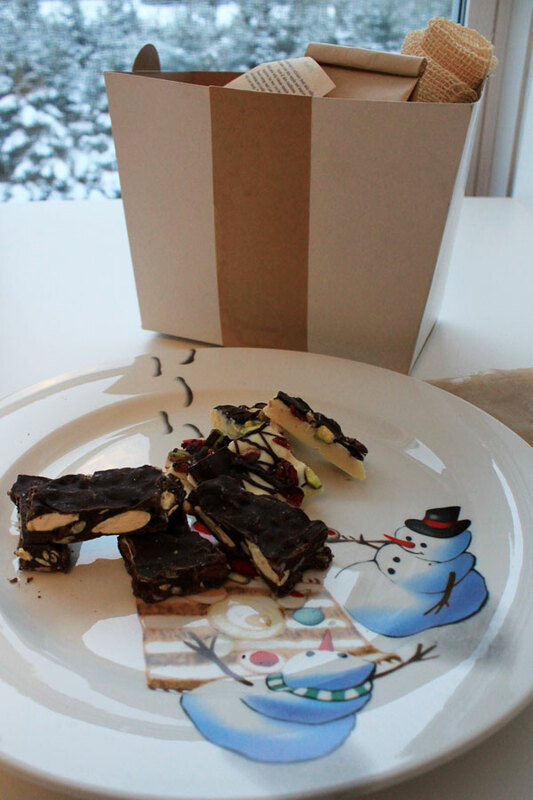 Here are the links we used to make some simple, quick and easy chocolate barks.